-- Please Choose an Option --	24" x 92" 36" x 92" 48" x 92" 60" x 92"
The Silver Step series trade show display is highly regarded amongst the best banner stands in the business, and has the ability to interchange graphics quickly and effectively. The Silver Step is available in 24", 36", 48", or 60" wide and your choice of the hardware in a silver or black finish. 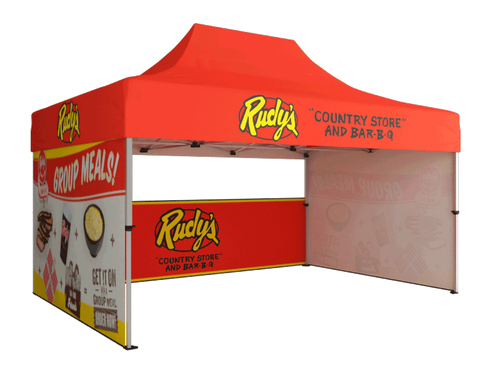 The telescoping rod allows you to extend your graphic anywhere from 69" to 92" high (see templates).